Lead belly skies over a soggy isthmus today. Good Morning. Good morning, Joe. What's on tap today? What are you aliens doing in there? Happy Happy Happy Happy Boing Boing Boing Boing! We currently have at work these fringe bags that really remind me of the Yip Yips and only one person knew what I was talking about when I said this. Good morning, everyone, and welcome to today's show. We're starting gentle today. Do go gentle into that good morning, Joe. Tis a nice start indeed. @sugarwolf ...few at work understand me either. It seems that I am the fringe alien . Happy to be. Plus there is this support group of you all. It's hard to not perform the whole Yip Yip radio discovery out loud. Good morning, Joe. Hope you're feeling better than last week. i had one employee at the cafe who dug this stuff, and she was a newyorker, her husband was an old fmu dj from the beginning. good morning joe and friends. this is pretty. In a mellow musical mood this AM, atmospheric. oh man, this dusty is gorgeous! i was about to say ... "songs of Rod mc. Kuen? This is Jacques Brel!" Would it be better entitled "Songs rod Mc. Keun translated"? By the way, die Scott walker do the same lyrics on "Scott 3"? @tomasz.Workday just starting. Its also looking good for walking home. yes guido, scott did the same translation. its not a very good translation imo but scott and dusty both sing it beautifully. Scotch Mist sounds like a froo froo drink. "I'll take a Scotch Mist with extra creme de menthe, please." Nobody does morning chill like Joe. I need it on Mondays. A Scotch Mist will get rid of that head cold. I actually was friends with Peter's son Justin in 7th grade. Henry came to grandparents' day! Dumb question I hope someone can help me with since I'm a PC illiterate: I accidentally put myself in "Full Screen" mode and I want to get out of it! Is there a shift-command thing to get out of it? Saw an advertisement for a stripper named Fonda Peters once. I caught the WFMU marathon cold around the 10th. Shaken the worst out but I still can sneeze up 1/2 a lung in the shower weeks later. Nasty stuff but it gets better. @JoeMcG: Hit the escape key? Try Esc. If that doesn't work, if you have a key on the console with a Windows symbol on it, try that, then maneuver back to the desktop. I tried the Escape Key but it's not working, alas. Yes, Escape key or if you hold Ctrl and roll your mouse wheel towards you. Step away from the computer. About 5 paces. That should make it smaller. Are you willing to close the window & get back to it? Are you holding your mouth correctly? Or press "Fn" (Function) + "Page Up"
Knowing that closing the window will probably exit the program, I mean. Thanks, all. F11 was the charm. The keyboard has a volume icon on that button, so I thought that it was for sound. The sound control probably works only if you press Fn-F11 or possibly Ctrl-F11. F11 is popular advice these days. Good thing it wasn't a 10 function key board. I have an telemarketing friend somewhere on the Indian subcontinent that can fix it in exchange for your credit card number. He usually calls around dinner time though. See it's like F10 except just one louder. Good morning Joe and fellow WFMUers. @JoeMcG: Is that a Mac keyboard? If somehow F7 to F12 are connected to audio things like volume and playback, hold the "Fn" key (which should be under F13) and then hit one of those keys. In your case it seems like the system preferences are set to just use them as standard function keys. I wonder if Garfield or Cathy have cartoons dealing with computers? I mean Jon or Irving would really be putzes when it comes to computers. Snoopy would have no problem. Why was this never covered at the end of the marathon? i think someone did it one year! Rainy days and Mondays, ya'll. Is this the song that Ghost World opened with? sorry, not to gloat. but we get like 10 days like this per year and usually it's what you guys currently have every day! My dog friend. Aus gezeichnut! Thanks and blame to you @Guido! @tomasz thanks. I figured it was not the original but it sounded familiar. I'm liking the rain today. Scarjo was 10 in 1994, so I'm guessing it's pre-Ghost World. Thanks for the info, folks! I couldn't remember if it was 90s or 00s. It's all a blur. Though, in French a mackerel is a pimp. yay!! just got handd a spreadsheet job!!! i love them! setting up canvass areas for a friend running for city council. @robin: How interesting! I never even heard of them, but they seem like they're having a good time on the single. Romeo Void is a fascinating band... High quality, longer lived than flash in the pan, but short lived all the same. Top of the morning from the Left Coast to you, Joe! SJ's first film was "North" in 1994. That Romeo Void track was great. Terrific show, as ever, Joe! @Lewis: Very underrated! @Alex: Happy morning to you, My Adoptress! @lloyd: Wow, so she did act when just a wee bairn. Nobody can carry a burden like Porter Wagoner. Porter knew my ex! Wow -- mind blown! This album is so creepy and bonkers-- I love putting it on for guests to make them uncomfortable! @Itzall A - Don't know Pylon will have to track them down - thanks! Yep. A child actress who didn't become a sad story. Ill Wind vs. Peanut Butter Conspiracy. Tough choice. Hey Joe. Sunshine and Lollies pops over here as tomasz writes. @Will Turn on a friend either way. v.nice ILL WIND song (who are they?). i been on a woman vocals kick lately; i saw MARISSA NADLER at monty last night (oh look, IRENE TRUDEL was in audience, so i had to introduce myself) and FEW BITS at rockwood last week. and WEYES BLOOD at mhow on thur. female singers are so much more pleasant to look at than male ones. @herb: Ill Wind were from Cambridge, prod. by Tom Wilson. I dunno @JakeGould. She fills out the spandex like a comic book superhero. Paul B. in Gainesville here. You're welcome, Joe. Hello! Been listening quietly, too. Loved the Hoople though! MIRIAM was playing at monty hall before marissa nadler came on, and after. man was it good; i'm definitely gonna be at that monty hall show! I just now figured out that Scarjo=Scarlett Johansen. Thanks. @Joe McG: I'm another quiet listener — until now! I'm spouting off because of my fascination with songs where what's sung is not exactly the same as the stated title, as in that Betty LaVette track. And I don't just mean as in Squeeze's "Another Nail in My Heart" where they actually sing "for" and not "in" — I'm referring to something more like "Baby What You Want Me to Do," where Jimmy Reed actually sings, "Baby, why you wanna let go?" but the producer misheard Reed's slurring delivery when he gave the song a title. What a cool version of No Regrets, love this song. as for SCARLETT, i met her grandmother! this mighta been LOST IN TRANSLATION time. i was sitting in w.village park watching little league, and an old woman sits next to me. "see that boy there, he's my grandson. (bla bla) his sister is an actress." oh who, i ask. "scarlett johansson" and i say wow, she was vg in GHOST WORLD. There is a great Johnny Cash & Waylon Jennings interview from the Letterman show. Check it out if you're a fan of either or both of them. Hi all. The thing with Scarlett is, she is the only actress I can think of who has made two pictures (Her and Lucy) in which her character ends up becoming God. "Under the Skin" is my favorite Scarlett J. movie. who wrote 'no regrets?' i know tom rush and the walker brothers did it, but does it go back farther? maybe marc just answered for me. @Emily C: Great idea — I can call it "Not What It Says on the Can"! @Gaylord, that *is* fascinating, at least to me. But then I tend to notice these things -- errant apostrophes, unnecessary quotation marks, admiral's semicolons, grandma's coffeemaker asterisks, etc. I do believe it was Tom Rush who wrote it. @Joe McG: I can recommend the novel "Under the Skin" wholeheartedly— the film has big differences from it but captures the tone of the book very well. Somehow this sounds like a Voters' Remorse set. @Gaylord: Thanks for the recommendation! @Ike: Too late: I've already added "grandma's coffeemaker asterisks" to my stylebook! ROTFL. Now I just have to figure out what they are and invent the correct usage of them. @ Gaylord Fields: Hahah I love that as a name! Perhaps with a subheading that says warning-style "'may contain..." something. I haven't gotten that far. @Emily C: MAY CONTAIN NUTS works for every WFMU premium CD. How 'bout some Charlie Rich for Annie. @joe_mcG under the skin is my fave SJ movie also. being an alien suits her acting style, lol/not lol. @ Gaylord: ha! It's true. I almost said that! “Grandma’s Coffeemaker” can refer to one of two things: Instant coffee or a coffee percolator . Charlie Pride was the celeb guest on "Wait Wait Don't Tell Me" yesterday. He sounded like a wealthy Texan. He was charming in the interview but irascible during the game portion. ScarJo was pretty good in that Woody Allen movie. Can't remember the name off hand. @Jake, good call. I was thinking of a percolator. I saw Charlie Pride many decades ago suited up and playing baseball during a training season game my dad took me to. Wonder who was smarter Junior Samples or Jethro Bodine? Crunch Hardtack, by a country mule. I am channeling my inner Kookie when I say, "Your show is the ginchiest!" Was expecting Gypsy Songman by Jerry Jeff Walker next. Happy Rainy Monday Joe and all. Quietly listening in the background to today's great show. @Sem: Thanks, Sem! @Will: Thanks, Will! @lloyd: Ha ha! 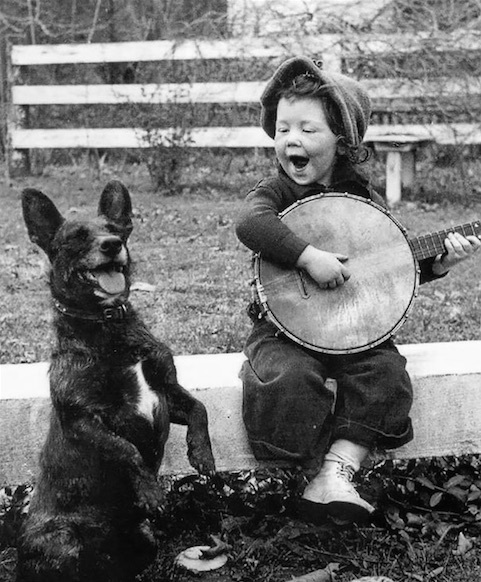 He played the banjo after every story. Charlie is a part owner of the Texas Rangers now. Part of his charm was when he talked about baseball. I AM LOVING THIS SET!!! !Everything you've been playing has been fabulous + so comforting. And definitely easing the pain of tax prep. Thanks Joe! Might wanna keep to yourself how cheap the honeymoon is. How do current Buffalonians feel about this song? A decidedly country bent this morning, Joe. Can George Formby be far away? But ALL of these are GREAT! Speaking of shuffling, I need to. Great show! I was thinking of Scoop, but I see she has more than one Woody Allen movie. Yep, Leo can do it all. Thanks, Joe. See you, and all, again. Kotke is pretty amazing too. LEO KOTTKE! He said his singing voice sounded like geese farting. Thanks for listening today, everyone! Have a great week. hattawino: But his guitar playing sounds like angels rutting, so all is well. Thanks for the great show Joe! Great show, Joe! Thanks for getting my working week started on the right foot! Giesevarten and Anjulsrutting and charming European towns.